The trees is usually planted in public places, as it is believed that wind passing through neem keeps people and animals free from infections. Every part of the tree is useful. Neem twigs are used as tooth brushes since they provide protection against gum diseases. Neem oil, which is extracted from the seed kernel, has excellent healing properties and is used for making creams, lotions and soaps. It is also known to have insect repellent properties. Did you know the oil is also an effective Fungicide? Neem Leaves have anti-bacterial properties which is why it works wonders on infections, burns and any kind of skin problems. 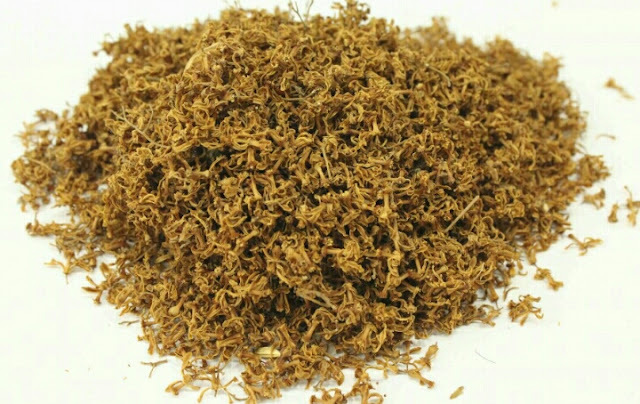 It destroys the bacteria that causes infections, stimulates the immune system and encourages rapid healing. 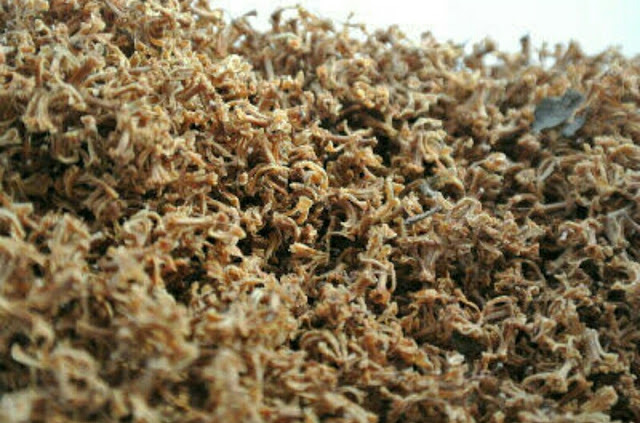 The leaves are used to treat fever, headaches, small pox, chickenpox, skin allergies, cough, parasitic worm attacks, piles, leprosy, diabetes, ulcers, syphilis, loss of appetite, greying of hair, baldness, snake bites, scabies and eye irritation. White and delicate, neem flowers with their off-white buds are almost too pretty to be eaten and unbelievably therapeutic. The flowers have a sweet, almost mystical jasmine like scent at night, blossom once in the afternoon and then again in the evening. During the monsoon, you’ll see a bunch of them scattered right under the tree. 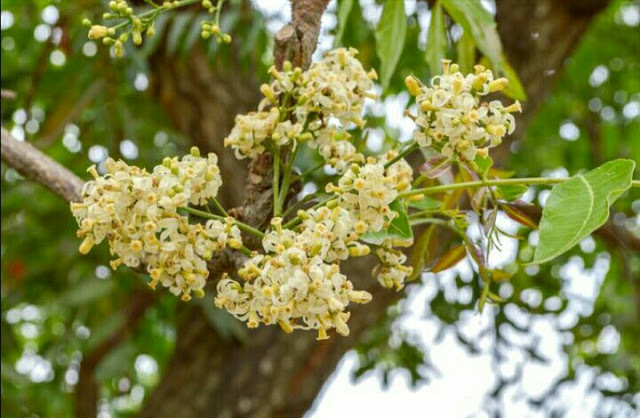 These neem flowers can be used fresh, dried or in a powdered form. Commonly used in the South of India to cook number of dishes like - flower rice, rasam, pachadi, lentils etc. They are also roasted and sprinkled on top of dishes as a garnish. Every summer my folks used to ask someone to fetch us some Neem flowers from Benaras. So we decided this year to collect these flowers ourselves. All one needs to do is spread a double size bed-sheet under the tree. When the flower dries up from sunlight, it falls. It has been observed that dried neem flower are beneficial for the human eye. Use it as a paste and they can help in curing dandruff and the feeling of itchiness on the scalp. Neem flowers do the work of cleansing your blood. Take powdered form with a glass of water regularly, it significantly detoxifies your blood. They are excellent in cutting excess fat, especially the fat around your belly area. Helps in keeping your skin hydrated. They not only moisturize but also removes excess oil from skin making it look vibrant and well nourished. 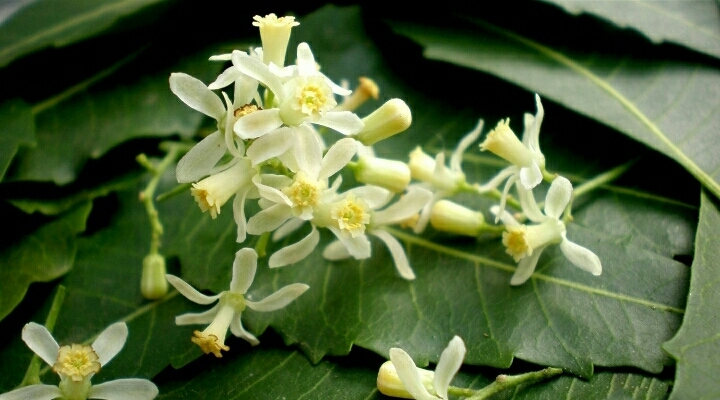 The oil from neem flowers is used for aromatherapy as it has a calming effect. Boost digestion. Proper food digestion is very important. 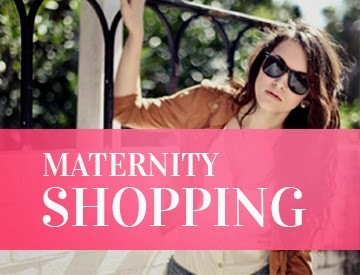 Help in maintaining healthy blood sugar levels. Take neem flowers. Saute them in oil for two to three minutes. Red chillies, finely chopped garlic and onions can be added for taste. It can be eaten with water rice or steamed rice. Roast the flowers, add a pinch of salt, eat along with chapati and lentil/gram. Its super healthy. Though the taste is bitter (similar to bitter gourd/squash) but you know its beneficial for your health. Thanks to Grand-mothers and Mothers for sharing this Lost Recipe and the benefits of a Tree, we all have taken granted. I would have never known about this beautiful flower, till mom asked me to collect and fill jars. No more buying from Benaras.